Are you currently working in a social care role and looking for a new challenge? We are looking for a Senior Support Worker for our outreach services in Edinburgh. 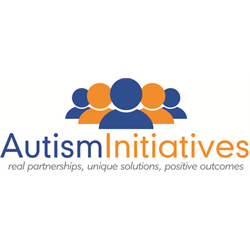 The Senior Support Worker (SSW) will support the management team in developing and maintaining the organisation’s standards relating to autism specific and person centred practices. Liaising with the organisation’s practice support team, the SSW will assist in the preparation of support and communication plans, ensuring consistent practices throughout support networks. The SSW will assist in the supervision and direction of the staff team and in maintaining the high standards of support in line with the organisation’s quality standards and mission statement. Knowledge of current legislation and regulations relating to the social care sector and the requirements of the Care Inspectorate is essential for this role. The post holder will also be expected to commit to on-call duties. 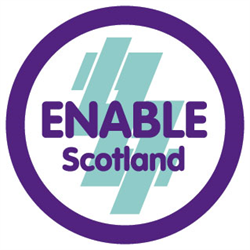 The successful candidate must register with the Protection of Vulnerable Groups (PVG) scheme and Scottish Social Services Council (SSSC) or equivalent regulatory body. If you think you have what we are looking for, we’d be delighted to hear from you. We are committed to equal opportunities in employment and service delivery. Are you passionate about inclusive communities? We are looking for a motivated and inspiring person to join our team. We support people with learning disabilities or autism to build friendships as a springboard to a life lived well. To make this happen we have a network of volunteers who make an extraordinary difference helping to reduce loneliness and improve social connections. If you have experience in bringing out the best in volunteers we want to hear from you! The Volunteer Coordinator will liaise with families or other key people in the individual’s life; to identify needs and approaches to social inclusion. Recruit an appropriate volunteer; provide ongoing training and management throughout the match. Support the volunteer and individual to set achievable goals, providing guidance on how these might be reached. · Demonstrate commitment to volunteering and understanding of its potential? · Nurture engagement and enthusiasm in volunteers? · Communicate empathetically and connect easily to others? · Relish the challenge of finding creative solutions? · Show determination to make a lasting difference to people? Then we definitely want to hear from you!